It only took five years since the inductive charging standard's adoption by nearly every major manufacturer, but Apple has finally added Qi inductive charging (also known as wireless charging) to its mobile devices. Sure, better late than never, but do people need to care about having yet another way to charge their devices, or is that extra long cable good enough? Is wireless charging worth the price, or potential compatibility issues? 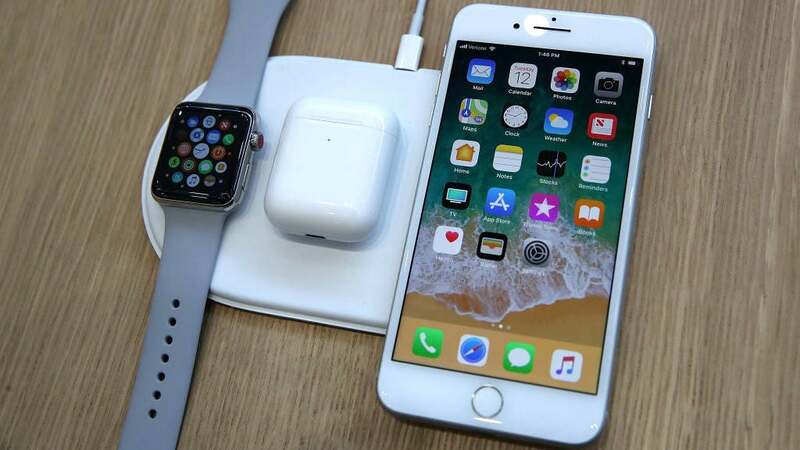 Apple's newest smartphones, the iPhone 8, 8 Plus and iPhone X, all support inductive charging using the Qi standard. In addition, the company showed off its new Apple Watch Series Three and AirPods wireless charging case. Apple also provided a sneak peek of its upcoming AirPower charging pad that can power up to three devices simultaneously, which should arrive in 2018. That means you'll be able to power all your shiny, costly Apple products without even plugging them in (well, you do need to plug the charging pad into the wall). Proximity is important when it comes to inductive charging (at least on such a small scale), which is why inductive charging often requires users to place their smartphones directly onto a charging pad. If your smartphone doesn't have wireless charging capabilities, you can probably find a compatible case with built-in wireless charging capabilities. While it's convenient if you're tired of plugging in your devices, inductive charging is also slow when it comes to charging. If you're looking for a faster method, you should opt for a wired connection. And since you can't exactly move your device while it's charging on a pad, it means you'll have to find something else for your hands to fiddle with. If you're a long-time iPhone user who hasn't heard of inductive charging, you're not alone. Even with over 300 million Qi-compatible devices in use according to the Wireless Power Consortium (creator of the Qi inductive charging standard), the technology hasn't become as ubiquitous as something like the Lightning cable, no thanks to Apple excluding the feature from its previous smartphones for years. Luckily, Apple's adopting a well-supported standard for inductive charging, rather than muddying up the waters by introducing its own. Even so, you can still find examples of it in some pretty popular places. For one, Apple Watch owners rely on inductive charging when they charge their smartwatch. Some Starbucks locations in the US have inductive charging stations using the competing Powermat standard built into tables throughout their stores. IKEA sells a variety of Qi-compatible inductive charging pads as well as furniture and lighting with integrated inductive charging stations. Even car brands such as Honda and BMW offer wireless charging features standard, or as part of a tech-oriented upgrade package. Sure, you could lay your phone down on its charging pad when you get home after a long day, but once you're settled in you're probably reaching for it, separating it from its charger while you're on the couch, in bed, or heading back out the door. Are you ready to leave your phone unattended, useless on that wireless pad, instead of just hooking it up to a 2m charging cable under your coffee table? At least you can hold it. But you're probably a fan of cool futuristic tech, and if you're interested in wireless charging, you can definitely use it to your advantage. For one, a wireless charger in your bedroom (where your phone shouldn't be, of course) can spare you the hunt for that cable you dropped behind the bedside table, stop you from glancing over to stare at it on a dock, or keep you from incorrectly inserting your connector into the port, damaging both in a fit of snooze-filled frustration (I'm not bitter). You'll be asleep anyway, so you may as well use one during your snooze. Inductive chargers at work or in your car are also convenient locations, especially if you're prone to forgetting to plug your phone in when you arrive at the office. Removing the friction involved when charging your device could be the difference between a full battery and a dead one at the end of your day.